When starting this adventure I found I just wanted to know what was in the camera bags of those amazing professionals like Pye Jirsa, Jasmine Star and the like. Why did I find this so interesting? I guess its like anything you ar einterested in, you want to ‘copy’ the best ones until you figure out what you really want. Just think of how many kids wear crazy coloured football boots just because Ronaldo wears them. As I said in a previous post, for me it was trying to figure out whether it was primes or zooms? Which camera is best for my budget? 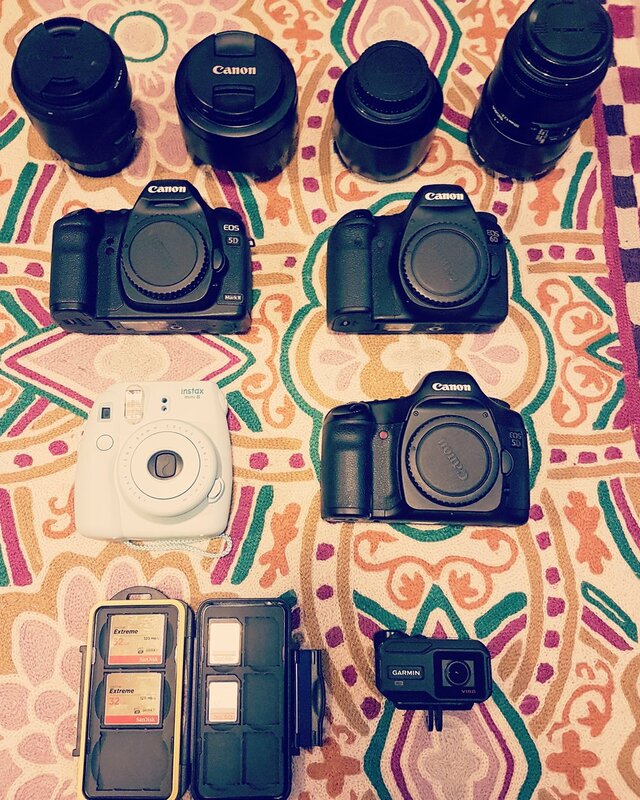 How many lenses do I really need for a wedding? How many cameras? As we approach the start of the wedding season we have just added a new lens and I finally think I have reached my happy place. For now. Sigma Art 35mm F1.4 – A beautiful lens! Wide enough to capture scenes but not too wide to scare me. I see some of the really wide wedding pics people take and I am in awe. I just don’t really see that, its not my style. Not that I don’t try it mind you, just with the 35 rather than a 16 or 24. Canon 85mm F1.8 – Amazing for the money. If you want a relatively cheap portrait lens then look no further. It produces fantastic pictures, focuses quickly and has been so reliable since I bought it. Definitely my goto lens last year for post ceremony moment capturing. Sigma 105mm F2.8 Macro – The new addition. I wanted a slightly longer lens with macro capability for details shots. This lenses price and reviews made it a no brainer. I took it out to a rowing event my school were in today and the shots are lovely and sharp. I can’t wait to see what Gabby can do with wedding ring shots with this. So there you go. What would I add next? The 5D Mark iii. Maybe for next year. I could always be tempted to swap my Sigmas out for the Canon L lens equivalents but for the money i’m just not sure.